The Foundation along with our donor partners is committed to providing scholarships for seniors living in Wayne County. Starting in 1991, the number and scope of the scholarships continue to grow. Listed below are the scholarships available for 2019. Accompanying the list is a brief explanation of the type and amount of the scholarship. Also listed are other eligibility criteria including which schools/seniors are eligible. Students are responsible to have their guidance counsellor send their “Official Transcript” to the Foundation office at 214 Ninth St., Honesdale, PA 18431. Scholarships for all Wayne County resident students (use online scholarship application. Osborne Scholarship: $500: Selected by Coaches. Jeri Bigart Memorial Scholarships: $1500. (2 each over two years - $3000 total. Career and Technical Education. Application Process: The Scholarship applications can be started by filling out the appropriate form and submitting. Please be advised that although you are submitting your application electronically, there are parts of the application that MUST be submitted through regular mail. Please read the scholarship information carefully. A PDF version is available for downloading at the end of each scholarship forms. The link below is not for any of the Forest City Area scholarships. Please go to the appropriate Forest City scholarship to apply. Selection: The Scholarship Committee of the Foundation’s Board of Directors will review all applications making recommendation to the Board for its final approval. Students must be Wayne County residents attending either public or private schools. Selection is based on Academic Achievement and financial need. 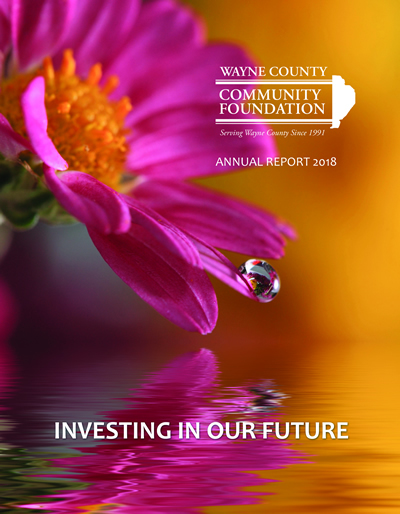 The Wayne County Community Foundation’s nine member Scholarship Committee reviews all applications and make selection aligned with the scholarship sponsor’s directions. Final approval is made by the Wayne County Community Foundation’s Board of Directors. Those students selected for scholarship will be notified in writing in May.